UPDATE: What a great weekend! Alex with Amy and Kathleen, his Make A Wish friends who took him shopping to prepare for his Wish Trip to Hawaii. Day 2 Alex had dinner with Make A Wish friends and Day 3 Alex and his friend Vincent were Parade Ambassadors at “Ride for A Cure”. 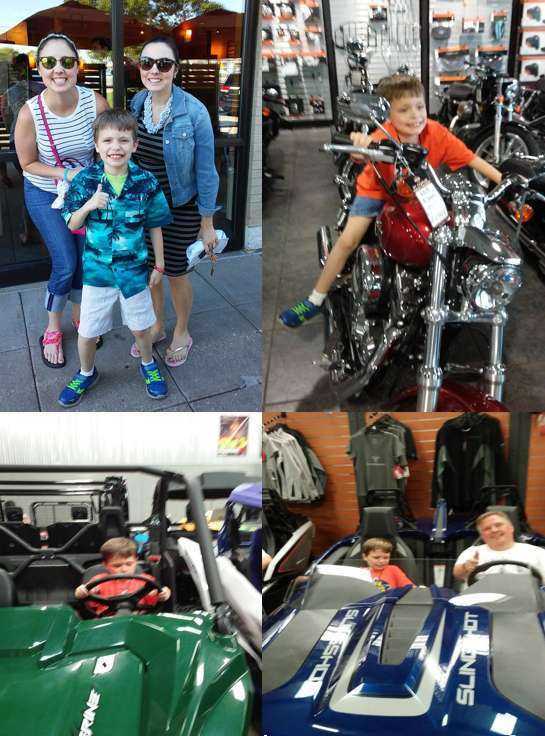 Alex & Daddy stopped off at Harley Davidson, check out a couple of Slingshot and “cycle” cars and then were off the Parade. What an exciting weekend! Next week, off to Hawaii to see a real volcano, check out the beach, attend a Luau and swim with the dolphins!